Mark joined the Army aged 18. He wanted to be a fighting soldier and as such chose the Infantry. He undertook operational tours in Bosnia, Iraq and Afghanistan. 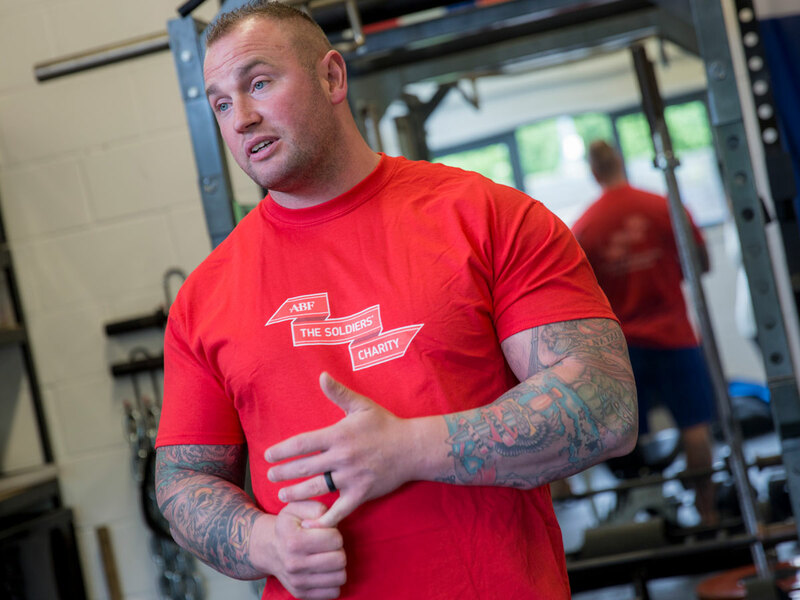 Mark is a qualified Personal Trainer and after leaving the Army ran his own business. Since then he has trained as a bodybuilder and is now in full time training for Disabled Strongman competitions. In 2017, Mark retained the title of Britain’s Strongest Disabled Man, having earned it for the first time in 2016. He was also invited to take part in the first Disabled ‘Arnolds’ Strongman competition. He returned to the UK victorious, having toughed it out against 11 other competitors in Ohio. He also came 4th in the World Disabled Strongman Competition in September. He has now set his sights on becoming number one in the world! Mark is married with two sons. ABF The Soldiers’ Charity has assisted Mark with funds for amputee crutches, home adaptations and in January 2016 towards wheelchair costs of which were split with the Colonels Fund (Grenadier Guards Regimental Charity). “The Soldiers’ Charity helps individual soldiers without wanting the glamour and publicity for it. They’re just there to help you when you need it. 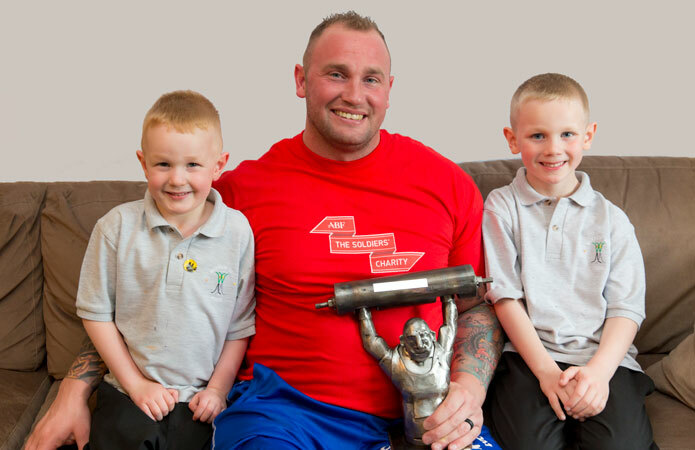 In March, Mark again won the Arnold’s, and is looking forward to the England Disabled Strongman Championships on 2 April. Mark and his wife will be at the Soldiering On Awards on 20 April as a finalist in the Sporting Excellence Category. We would like to wish Mark the very best in all his endeavours, and express how proud we are of his achievements.